Happy 4th Birthday To My Sophie! So today, the day is all about my little girl. We have some game time planned, we're going to paint our nails with Piggy Paint, and of course, there will be cake and tons of hugs and kisses. Hoping everyone has a safe and Happy New Year's Eve, and please remember to drive carefully and get a designated driver if need be. Talk you all more in 2014, if I can't sneak another post or two in today! Welcome to the Zoomer Interactive Dog Giveaway! Rude Mom had the chance to review an interactive dog named Zoomer. Her son, Denver has had a great time training Zoomer. It is all the fun of having a dog without all the mess and since we have cats, this makes a perfect toy for them to chase. He rolls over, plays dead, and even acts like he is using the potty...LOL. But the cutest thing is when you tell Zoomer you love him he tells you right back. As most of you know Denver has autism and this has been a wonderful experience for him and us. We have enjoyed watching him train Zoomer and interact with him daily. I would highly recommend Zoomer with out a doubt. Zoomer is an interactive puppy with multiple sensors that enable him to behave just like a real dog. Of course, like any puppy (or kid!) Zoomer might not always listen the first time if he’s feeling rambunctious. He’s all the fun of a family pet without the mess, vaccinations and responsibility. One lucky Rude Mom reader is going to win a Zoomer Interactive Dog of your own! Open to US/Candian residents only. Giveaway will run from 12/27 until 1/10 at 12 am EST. Use the rafflecopter below to gain entries…Don’t forget to come back daily to receive your extra entries! Good Luck from Rude Mom and all the awesome bloggers who are helping to promote! Disclosure: This blog did not receive monetary compensation for this review and giveaway, and is not responsible for prize shipment. All opinions are my own and 100% honest. Facebook, Twitter, Pinterest, and all social networks are in no way associated with this giveaway. 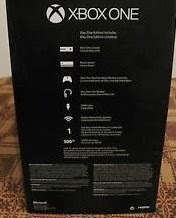 For Companies: Would you like to have your products featured in a similar review and/or giveaway? Want to increase your social media exposure? Contact rudemomblog75@yahoo.com to see what we can do for you! Whew! It's hard to believe that Christmas is coming to an end....We were incredibly blessed this year, so the kids were spoiled rotten. I had acquired so many gifts throughout the year that I had a huge stockpile. I actually ended up donating a whole trunk load to sick kids in the hospital. That made us feel good, since so many of these families miss out on a nice Christmas. This year, my husband and I decided that we would focus on the kids only, so we didn't really get each-other any gifts. I'd rather see my babies have an amazing Christmas, since that's what I find the most magical about the Holiday season. First, a new sectional with a pull-out bed. Since we moved into our new home, my husband and I have been sleeping on our couch, with is broken and battered and totally uncomfortable. Our room is in the finished attic, and until we get some ventilation and update the electrical systems up there, we will be sleeping in the family room. I would love, love, LOVE a sofa like this. Ours is in such bad shape, and this would allow me to sleep next to my husband for the first time in over a year! Welcome to the Tummy Stuffers Giveaway! I had the great pleasure of doing a review of Tummy Stuffers with my family and our son enjoyed this his Tummy Stuffers Monkeys immensely…and you will too! Stuff, store, snuggle and more! Tummy Stuffers are the new plush sensation that turns clean-up time into play-time. Stuff, store, organize and hide with your Tummy Stuffers! Clean up, store stuff, hide stuff, then hug your Tummy Stuffer. You will be amazed at how much you can stuff into the tummy of one of these fuzzy friends! The Tummy Stuffers' tummy will stretch and stretch as Tummy Stuffers are "fed" yummy toys, clothing and accessories. Tummy Stuffers are perfect for parents and perfect for kids to Stuff, Store, Snuggle and More! Grows up to 17 inches tall. Polyester. Machine Washable. Tummy Stuffers is the perfect way for kids to stuff, store and organize their own belongings. For instance they can stuff: socks, belts, underwear, sweaters, hats, etc. Tummy Stuffers will be perfect to help keep rooms clean or even used for sleepovers. Eco-Friendly Holiday Cooking With Cartons: Are You #CartonSmart ? As many of you know, I try to find greener, more environmentally-friendly ways to live all the time. Over the past several years, I really started thinking about the world we're leaving behind for future generations. Looking at the state of the planet caused me great concern, and I definitely feared that my kids and grandkids would not enjoy the simple pleasures and beauty of the world around us that we often take for granted. So over the past few years, my family has made some changes...We cloth-diapered, and we choose organic products whenever possible. I don't like the idea of pumping my kids full of chemicals, preservatives, and GMO's. We even make a lot of our own household cleaners using natural ingredients! Since one of my favorite pastimes is cooking, I was really excited to learn that choosing cartons over cans is a simple, eco-friendly choice that anyone can make. So why should YOU be Carton Smart? -Cartons use 1/3 of the packaging that cans do. 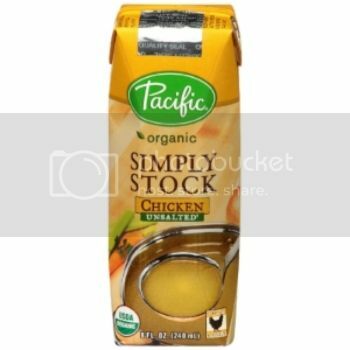 -You can ditch the can opener, since cartons are easy to open and store! 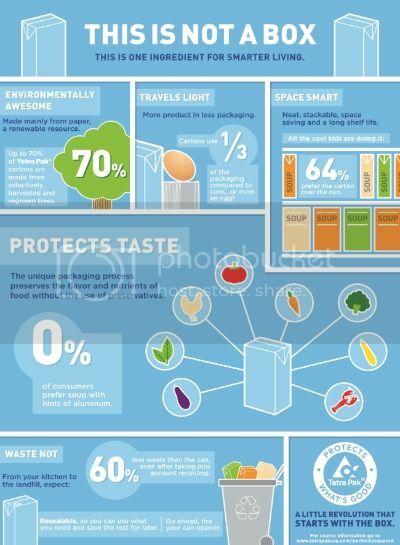 -Tetra Pak Cartons are made from 70% paper. This paper comes from re-grown trees that are FSC-Certified, making them a totally renewable resource! -The packaging is totally recyclable, which results in 60% less land-fill waste than cans. 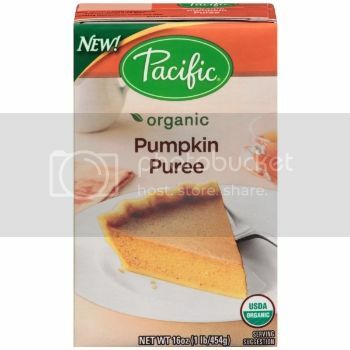 -No preservatives are needed, since the unique materials used in cartons allow the flavors and nutrients in foods to remain intact. Sounds pretty awesome, right? Not to mention, cartons allow for much better organization in the kitchen. I actually stack them in my walk-in pantry! I couldn't wait to get started cooking some Holiday treats using these high quality ingredients. The first thing I made was a decadent Pumpkin Cheesecake. 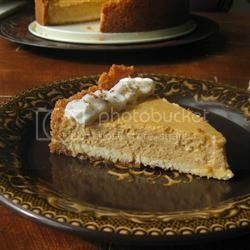 I don't really like traditional pumpkin pie, but add pumpkin to a creamy cheesecake, and I will drool. Literally. 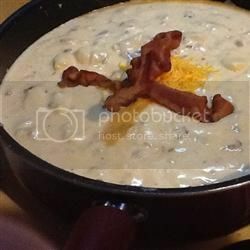 I also made my famous, ultra-cheesy baked potato soup using the chicken stock. Oh. My. Goodness. Talk about heaven in a bowl! Of course it's not the most diet-friendly dish, but I only make it a couple of times per year, so I don't feel too horribly guilty for enjoying a bowl or two! 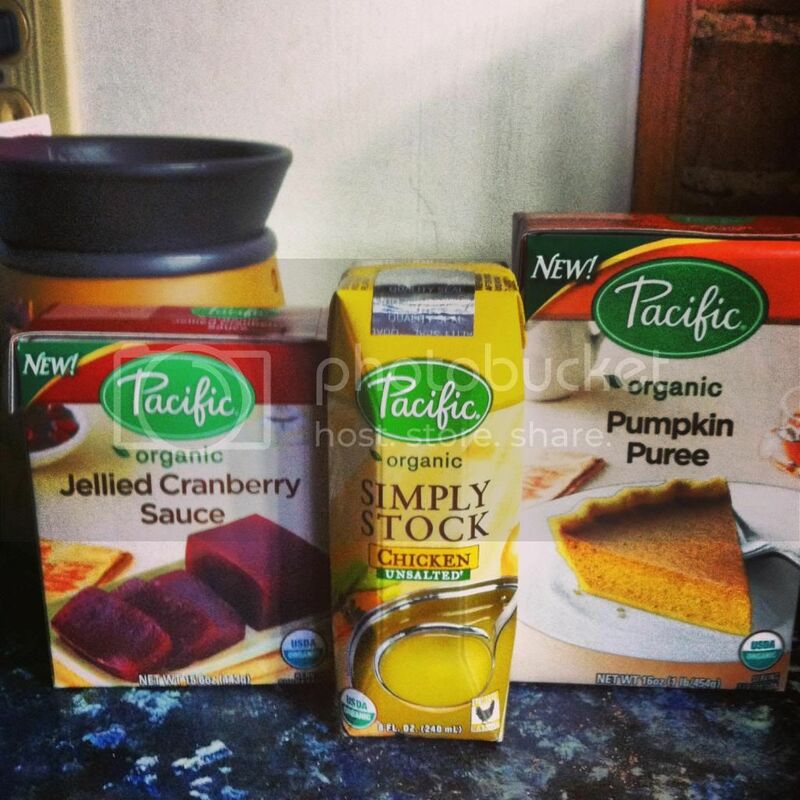 Overall, I love the fact that I can find my favorite Holiday cooking staples in cartons rather than cans. I feel better about serving my family organic foods with eco-friendly packaging. After all, it is the season of giving. While I give to my loved ones, I am also giving back to the environment by making smart choices. 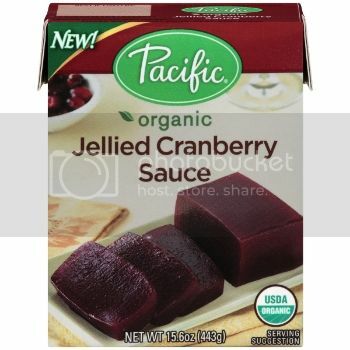 Do you use cartons when you prepare your Holiday meals? I'd love to hear about it! After preparing for the holidays, I don't feel like cooking for awhile. Our meals usually consist of easy fixins' like spaghetti or mac 'n cheese, leftovers or the easiest option, restaurant food! Restaurant.com has participating retailers all over the United States and the most fun thing about them is that most are not big chains. I make it a goal in most cities I travel to to always try a different restaurant and Restaurant.com gift cards allow me to do that. You can also earn free $25 Restaurant.com vouchers by shopping at participating retailers. When my husband and I were on our honeymoon in Pigeon Forge/Gatlinburg, Tennessee, we found an amazing little gem with some of the best chicken we have ever had thanks to Restaurant.com, Pucker's Sports Bar & Grill. It isn't a place we probably would have considered trying otherwise but we ended up there multiple times while on our trip. If you love trying new places and new food as much as I do, you'll want to enter this awesome giveaway! Two lucky winners will each receive an eGift card from Restaurant.com. The first winner will receive a $50 card and the second will receive a $25 card. 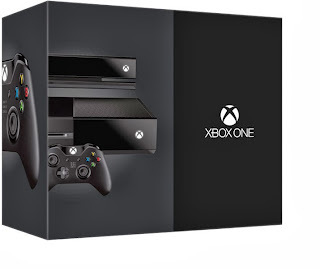 This giveaway is open to U.S. residents and will end on 1/6 at 11:59 p.m. ET. Please enter on the Rafflecopter below. Disclosure: This giveaway is sponsored by Kara's Deals & Steals. Participating bloggers are not responsible for prize fulfillment. As the mom of 3 kids, I have to admit, there are a lot of video games in my home. I don't allow my kids to play any game they'd like, though. I like to make sure that the content is age-appropriate and there's not any adult themes or excessive, graphic violence. Yep, I am one of "those moms". My teenage son doesn't play Call of Duty, Grand Theft Auto or Assassin's Creed.....He plays games that are meant for kids. He certainly doesn't complain, though! He doesn't like games that are gory or super-violent! So when I discovered Moshi Monsters released a brand new game for the Nintendo DS and 3DS, I knew that all 3 of my kids would really enjoy it. Did You Win? Come Check Now! 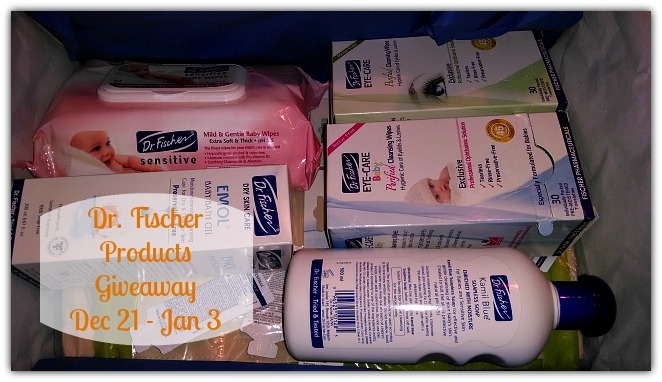 Welcome to the dr. Fischer Product Giveaway! Dr. Fischer (by Fischer Pharmaceuticals), founded in 1965, is a multi-national manufacturer and distributor of a large variety of high technological pharmaceuticals worldwide with special emphasis on various categories of dermatological products, wet wipes and nutraceuticals. Rules : One winner per household, email address or home address. If you have won this prize on another blog you are ineligible to win again. Winners must have a U.S.-based address to receive their prize. 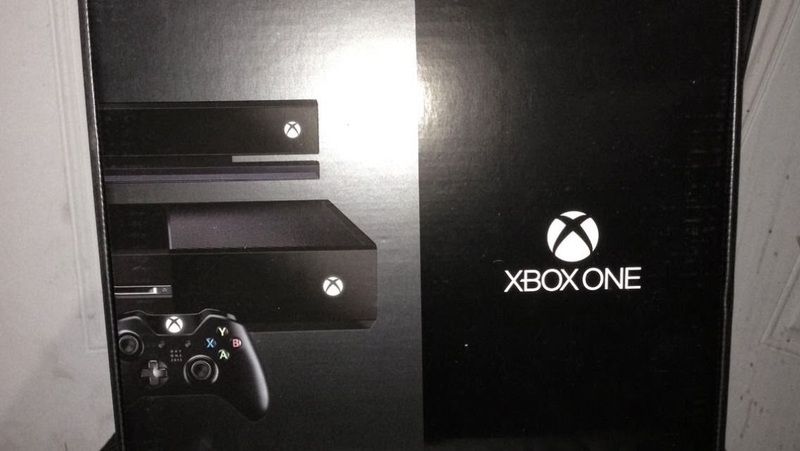 Duration : Giveaway will run until January 3, 2014, 11: 59 PM PST. Use the form below for your entries. Good luck! Disclosure : This blog was not compensated for this post nor will be responsible for prize fulfillment. For any questions regarding this giveaway, please contact the host, My Charmed Mom at icar@mycharmedmom.com.